Limes are in trouble. There is a growingly severe shortage of limes in the world and you’ve probably felt the effects whether you knew it or not. In terms of fruit, I value a lime about as much as a cumquat because I don’t drink anything that requires one. But I do love pie and one of my favorites is Key Lime Pie (which I know should only be made with “Key” limes, but it usually isn’t, so hush). If you start messing with my pie, then we have a problem. Mexico is the world’s leading exporter of limes. Heavy rains wiped out 90% of this year’s lime crop. No more pie for you. This is too bad because not only does it affect lots of food costs, it puts restaurant and bar owners in a bad situation. 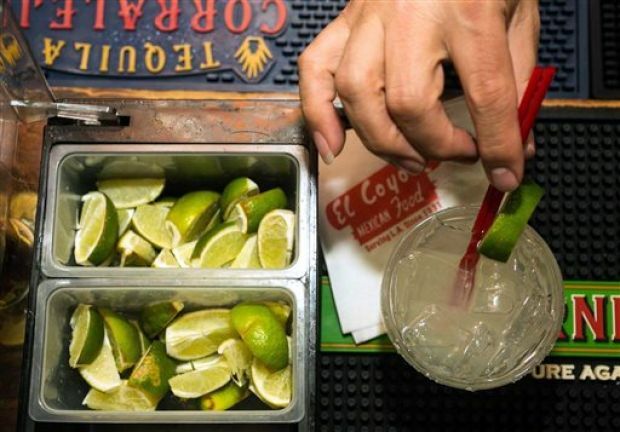 Limes are usually offered as a garnish, the price of which is already built into the cocktail or food item, but the price of limes has more than quadrupled this year. A case of limes that cost $15 last year now is now $100. Damn. Now I feel bad about wasting all those limes I usually throw at jerks that buy me tequila shots at the bar. Drug cartels are also affecting my 2014 pie intake. Believe it or not, certain drug cartels are subsidizing their lost income due to heavier crackdowns on their operations by stealing parts of the lime import business. I jest, but this is more serious than some fat guy’s dumb joke. The “Knight’s Templar” cartel has caused the price of limes to skyrocket by extorting farmers and exporters through savage tactics such as threats of violence and other atrocities. The Mexican government has told these scumbags to stand down by May 10th or, I assume, action will be taken. Seems to me though, providing them with a deadline is way too accommodating. I have noticed, when generously buying drinks for other people, that you must request a lime these days, they don’t just give you one. I’m curious if you too have noticed any effects of the lime crisis? I’ve heard that some airlines have gotten rid of limes, but they’d nix oxygen if the price of that ever went up. You! You! Always thinking about pies…… you know the drug cartels are using lime to subsidise their businesess….next their going after your cupcakes. Ahh, a baby……wait, what were we talking about? Limes! I love limes. This is a tragedy. How come I never heard anything about it? There have been a myriad of stupid stories on the news, but not one about limes. Journalism is so dead these days. I wouldn’t call this journalism, but you’re right, not many are talking about it. I have been following the shortage of limes. It is a travesty to my life and cooking, not to mention that I enjoy tequila and margaritas. At least one of our fruit tress is a massive lemon tree. I haev been substituting lemons, but it is not the same. I know, it’s terrible isn’t it? Wondered why the price of lime marmalade had soared. Thank goodness I planted a lime tree last year. I have a half a lime now..
We are thinking of forming a cartel. Your post is funny but very eye opening, to me. From $15 to $100! I knew food was going up but wow! Great post. The baby is too cute. I’m sure Brazilians aren’t too happy with the lime shortages. They loooooooove their Caipirinha’s. Good thing I’m not a lime lover ha ha ha. As an enthusiastic muncher of Mexican food, I cook with limes a lot. It’s interesting to read what factors are driving the prices up. I hope the limes recover. I have not noticed a lime shortage nor a price increase. I don’t use them a lot but simply buy them when needed. The other day after mentioning to my mother that I stopped at Trader Joe’s, she asked if I’d picked up anything interesting. I said, “no, just some bread, chocolate and limes.” She immediately asked how much I paid for the limes. Told her I didn’t really notice but seemed to recall .49 cents each. She freaked out. Yelled to my father, “Al, limes are only 49 cents at TJs!” Now I know why. And I celebrated cinco de mayo by going to an Indian restaurant for lunch. We went out for Mexican on Saturday and I asked for my customary Coke with lime. He did indeed bring some limes (dried, that would have required the force of both Rocky and Mr. T to actually extract a drop of juice), along with a piece of bell pepper in my glass. WTH? I had no idea there was a shortage of limes. Damn Mexico for getting heavy rains. We haven’t had rain in Texas since the 90s, and we might as well be Mexico. What is a bell pepper doing in a Coke? Is that a consolation prize? A parting gift? I feel like I’m in Russia, not Amerrrca. Well, I wouldn’t go that far. Have you seen the empty grocery stores in Venezuela? More than just limes there? No, there is nothing. 0 food on the shelves. You’re bringing me down, Thomas. On Cinco de Mayo. I was happy and now I’ve just read about them having no coffee, rice, or toilet paper. And here we are typing on laptops with all of those things at my disposal. The internet (which never lies) said part of it is due to government-seized land that sits idle. Socialism is not working? Buy lemons. Make lemon meringue pie. You won’t suffer. No more drink for me these days. However my pork-filled tortilla wraps demand lime juice. And yes, I can taste the difference. Limes aren’t just sour, their pungency escapes through my nose wonderfully as I slurp the wrap slathered in creme fraiche and cayenne pepper. No substitute. Drug cartels involved with lime………the world is upside down. I must have read this & forgot to leave a like or a comment because I would swear I read this before. Yes, I was VERY aware of the lime crisis!! I don’t like tequila, so that point is kind of moot, but I eat limes with pasta, on salad, etc. I suppose I’ll have to settle for lemons for a while, oh the imposition! Big Pharma is behind the ‘lime shortage’ . Isn’t it obvious ? They want scurvy to make a comeback so they can sell anti-scurvy drugs . Duh ! 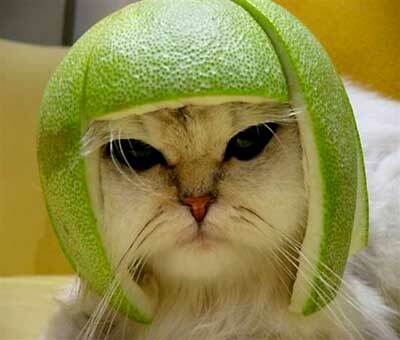 Did you use my cat,” Sugar”, as the model for the lime hat ?? Also, I am distressed as I use lots of lime in my cosmo recipe !! Ah! The picture is just perfect, drew me in and made me laugh. Thanks for the information, always good to hear about what’s going on in the world’s pies.